Around 44 percent of individuals used a moving company in 2017 and 73 percent of items that were moved were household goods. Whether you need your couch moved a few miles or all of your belongings moved across the country, New Frontier will help you or your business make the transition as smooth as possible. New Frontier can take the logistical headache that comes with a move and make sure everything runs smoothly. If you're moving locally or long distance, check their competitive rates. New Frontier Van Lines stands out by offering moving resources like a moving tips page and a moving checklist page outlining things to make sure you’ve taken care of one month to 24 hours before your move. 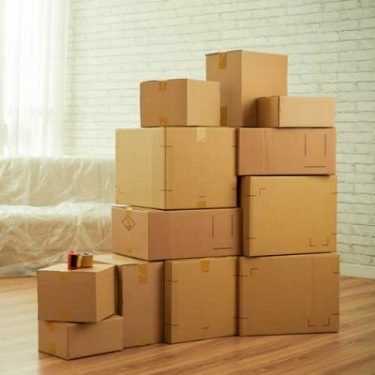 It also includes a blog page on their website with helpful up-to-date information about moving. 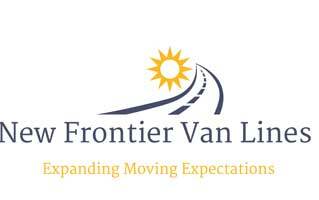 Read more in-depth about the best long distance movers, including New Frontier Van Lines, on our guide. The logistic details that come with moving long distance add to the stress of moving. New Frontier is experienced with taking that stress off of you by making sure your belongings arrive at your new address safely. Once there, they won’t be unloaded until a predetermined time that you worked out with your moving agent. New Frontier also helps you transport your car if you’re moving a long distance and don’t want to put the added mileage on it. If you’re interested in this service, ask your moving agent about their pacing services. New Frontier understands the differences between a military move and any other type of household move. They know how to work with the time constraints of being reassigned to another location and can move you and your family on or off the military base. If you’ve been reassigned to another military base or location, make sure to let your moving agent know the details of your assignment and they will make sure your belongings are packed, loaded and moved safely and on time. New Frontier knows the importance of getting your business moved quickly to minimize the loss of revenue that occurs during a relocation. They’re experienced with dealing with the multiple vendors that are associated with moving a business and will help you square away the logistical details that come with coordinating those vendors. If you’re relocating your business, be sure to give your moving agent special instructions about handling things like delicate furniture and computer systems. New Frontier calculates the cost of your move like most moving brokers – based on how many cubic feet of belongings you have. Movers must have a tariff that allows for cubic feet charges and any estimate based on cubic feet is a binding estimate. New Frontier also lists additional charges such as packing, crating, shuttling fee and bulky article charges for oversized items. If you have questions about the final estimate be sure to get them cleared up so you can compare an accurate estimate with the others you get. Make sure all fees are listed. Former clients have good things to say about New Frontier overall. The majority of reviews mention how easy the process was from start to finish. Multiple clients spoke about how well New Frontier was able to accommodate last minute changes due to unforeseen circumstance with landlords and business relocations. The few complaints we found were about receiving belongings late during long distance moves. Get a free quote from New Frontier by visiting their website and filling out a short information form. You’ll need to list your current location and the location you’re moving to, the move date (month and year) and your basic contact information. If you have any additional comments or special instructions, list them in the comments section of the form. What’s the difference between a mover and a moving broker? A moving broker arranges for the transportation of your belongings by hiring carries to provide the actual truck and transportation services. A broker is not responsible for your items and is not authorized to transport them. Brokers are required to use FMCSA certified movers. Like most moving companies, New Frontier says the busiest time for them is the summer months (May-September). Rates will be competitive during this time. According to New Frontier, all licensed movers won’t move hazardous or combustible items like gas or propane tanks, paint and aerosols. The temperature of moving trucks can cause these items to explode or ignite. When can you expect your shipment to be delivered? Your truck driver will contact you 24-72 hours before your scheduled delivery date. The moving company assigned to your move by New Frontier will give you a customer service contact person to act as your point of contact. Long distance moves don’t come with an exact delivery date so you will be provided with a date range. Under Federal law, moving companies providing interstate moves must offer you two types of liability coverage or valuation coverage. These two types are Full-Value Protection and Released Value. New Frontier Van Lines rates high on the major review sites. Their blog offers plenty of tips on planning, packing and moving and it’s updated once or twice a month with fresh content. To learn more about New Frontier Van Lines, call 888-233-4196 or check out their online order form for a free quote. Quick, careful and courteous! These are the guys you want to move you! I just started a new job, zero time and had only a couple days to get into my new place. They packed my entire house and move me in less time than estimated! AWESOME!!! GRATEFUL!!!! Highly recommend. Dont call anyone else. Let me just get to the point. Prompt, attentive, knowledgeable, friendly, willing, able and enjoyable. All this through a not-so-easy (heavy) and delicate process. I used them twice in one month and I would use them again in a heartbeat! Last minute residential move. They were prompt, professional, courteous, and friendly. They were careful with my stuff and didnt sweat it when I had them shift items from one room to another. Best of all they knocked out with 3 guys what other companies said required 4-5 guys and hundreds more to do in a day. Thanks guys! Some moving companies make it seem like you have to use their service, or you’re never going to get to where you need to be. I didn’t want a company that was going to force me to do anything, and they made it abundantly obvious that they were in the business of helping people. We were moving a one bedroom apartment, and these guys did a great job. They were in and out in about an hour and 45 minutes, under the 2 hour estimate. They were very professional and courteous. Great company! I needed a large refrigerator moved across town on short notice and with no dings or scratches. The owner promptly returned my call, quoted a reasonable price and worked me into the schedule. His guys were on time, professional and fast. Highly recommend. Excellent! As in the best movers I’ve ever seen in action, thoughtful, friendly, fast, efficient and thorough. We will recommend the company New Frontier Van Lines to all our clients and friends. We will also put you on our “Resources” list on my company website. Definitely a 5 star service and a fantastic experience. Will work with you again in the future. The moving crew was on time and made moving easy. I now know why my sister referred this crew and company. They were professional, courteous and worked hard. 5-star service and a fantastic experience. Humble, polite, such wonderful people! They really did a good job. I am very satisfied with their work. Thank you so much, guys! Ill use them again in the future. I used these guys today for the first part of our move. They showed up early, and were very fast. They did an excellent job. fast and clean no damage at all! We are very happy with their service! Will definitely use them again.